In our last post, we talked about how to manage and go through all of your homeschool materials as well as the books that you have. 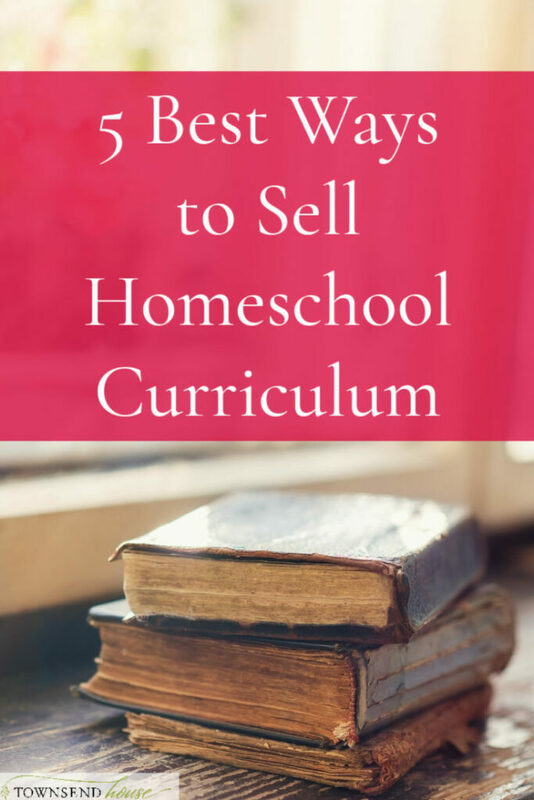 Today, I want to talk about some of the best ways to sell homeschool curriculum. Most likely you have a lot of old curriculum and homeschool books sitting around your house. You kept it because you had another child coming up through that grade and wanted to save money by reusing some of your curricula for the next child. Now, however, your last child has gone through that material, and it is time to think about what to do next. The obvious choice is to sell homeschool curriculum. But where exactly do you sell old homeschool materials? How does it work? That is what we will be going through today. These are some of the best places that I have found to sell homeschool materials. Some may be known to you already, but you are afraid to take the plunge. Others may be new ideas for you. I want to make selling your old curricula as easy as possible so that you are able to have a little extra money in your hands when you start to purchase new materials for the coming year! Or to go on vacation, because we could all use a vacation! 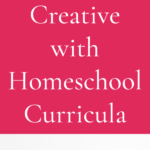 Where do you Sell Homeschool Curriculum? The first place that you can sell homeschool curriculum is on eBay. It is probably the best-known place to purchase used materials, and so it makes sense that we would start there first. There are two ways to sell on eBay. The first is what you think of when you think of eBay – the auction. You set a starting price, and then the auction lasts for a set period of time. People can bid, and then the auction closes with the highest bidder. The other option is “Buy it Now” option. This is probably the easier option of the two. You set the price, and someone can immediately purchase it at that price. Homeschoolclassifieds.com is a great place to sell homeschool curriculum. You go on and register for an account and then you are able to list items for sale. 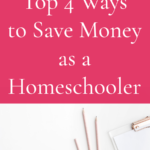 This site is broken down by subject, and even has a lot of resources for finding local homeschool groups. 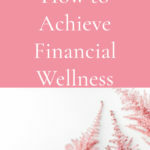 One of my favorite parts about this site though is the option to create some planner printables for FREE! I use my Erin Condren Teacher Planner for homeschool planning, but I like to have extra sheets to figure out exactly what I am doing before the school year begins. These are some of the groups that I have found in my research. They seem to all be pretty busy groups. But, like always, use your best judgment when selling online. This site allows you to become a consignor. All you need to do is sign up to become a consignor. The difference between selling as a consignor, and selling someplace like a facebook group is that you have to pay a portion of your sales as a selling fee. For this particular website you receive 50% and they receive 50%. They will pay you 50% of your sales every 3 months, and you are required to leave your books and materials on their site for one year. If this sounds like too long, and too expensive to you, I would try eBay or one of the other options above. The final place that you can look when you want to sell homeschool curriculum is in local groups. Every state has many local homeschool groups, it is just a matter of finding them. If you live in a robust homeschooling area it might not be that difficult. But, if you live in a big state that doesn’t have a lot of people – as I do in Maine – it might be harder to find as many people really local to you. Most of the local facebook groups that I belong to are always looking for used homeschool materials. Local groups are also a great way to find out about major used curriculum sales in your state. In Maine, there is a big used curriculum sale every year. And I bet that if you look in your state, you would have one as well. It is a little work to get everything ready and priced, but if you are selling used curriculum that would be the case regardless of where you are selling it. Local groups are also the best place to sell homeschool curriculum that you think wouldn’t sell well online but is still in good condition. This is almost always the place that I would start when selling because I find that it is the easiest. When I say easiest I mean that you don’t have to box it up and mail it to someone! Sometimes the material you have is not as updated or complete as you would like it to be. Or perhaps you aren’t looking to make money, instead, you want to donate your materials. You have several options when donating. You can again look for local homeschool groups or co-ops to donate materials to. Homeschool Curriculum Free for Shipping is a place that allows you to donate your homeschool materials and receive a tax deduction. They also offer two auctions each year where you can sell your materials if you want to wait for those dates rather than donating. Another option is Paperback Swap which allows you to trade books – but not necessarily homeschool materials. You can also donate books to your local library – which we do frequently. 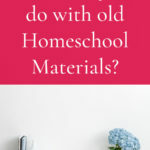 And finally finding a homeschool family in your area that you can give the materials to is a great way to get rid of your old homeschool materials. If you are concerned about selling in person to someone you don’t know, look for a safe place to make the transaction. In my area, the police station has become a central location where you can meet to complete the sale of any item – whether it is homeschool materials or purchasing a vehicle. This will help make you and your buyer feel safer. It obviously is a little more work, but if you are worried about meeting someone at your home, then this is what I would do. Selling your used curriculum is a great way to make a little extra money for materials that you have used and loved over the years. It does take a little extra work, but it is worth it in the long run. If you do not want or need to sell, donating is a wonderful way to bless another homeschool family. What do you do with your old homeschool materials? Previous Post: « What do you do with old Homeschool Materials?